Many of our customers enjoyed working with us, found their New York home or investment. They always recommend their family and friends to us. You can read about their experiences below, call us (646)644-6929 to work with result oriented agents. 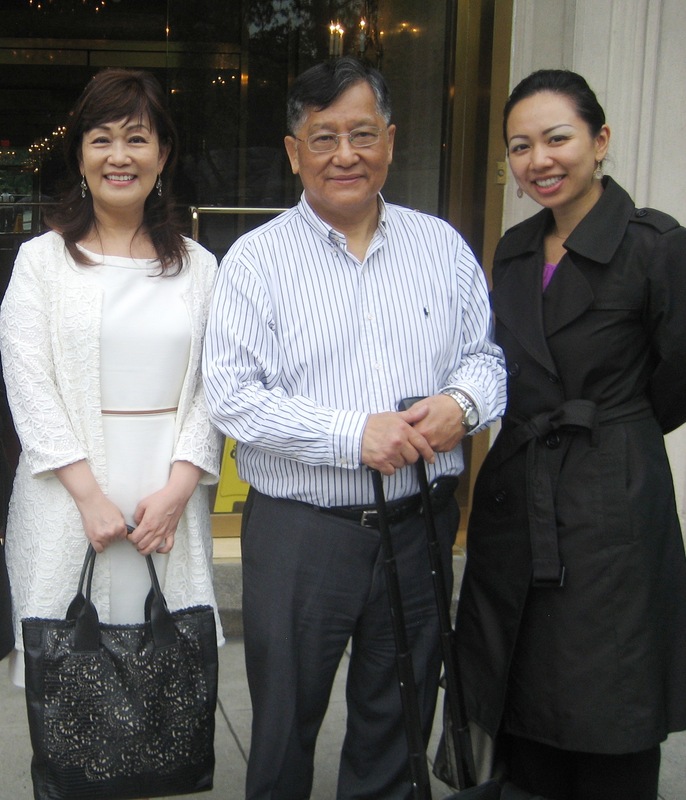 Dr. Liu and Mrs. Liu, wonderful couple found their second home in NYC. 許多我們過去的客人喜歡與我們參見房子, 因為我們的成功經驗和專家建議。 過去的客人他們總是推薦親朋好友給我們。 邀請您今天來電給我們(646) 644-6929. 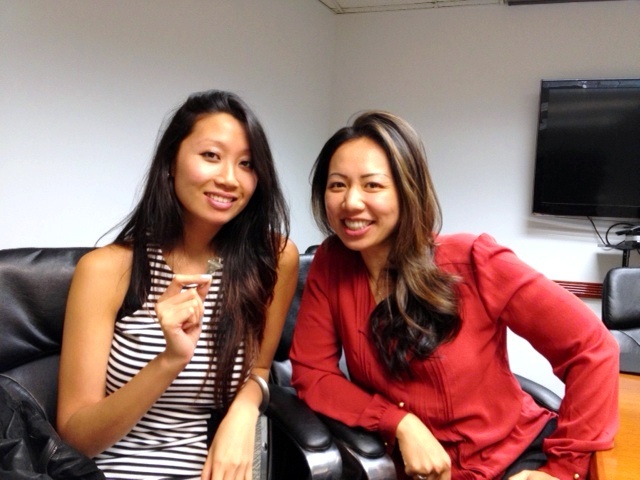 Mandarin Chinese Speaking Agent Eileen Hsu and her buyer who just bought his new condo in Manhattan New York. 我來自台灣, 因為女兒在紐約讀書想在Manhattan置產. 但是我對紐約地產行情一無所知. 幸虧有Elieen的協助, 她讓我去年6月在Chelsea找到一間我和女兒都非常滿意的房子. 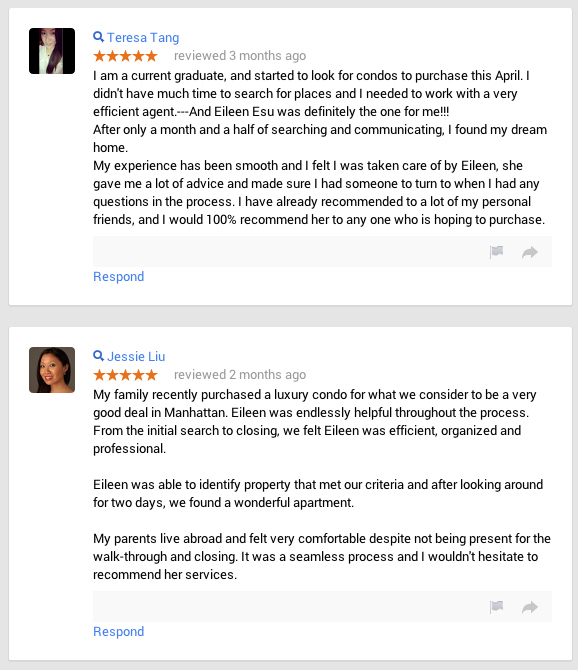 Eileen worked closely with us in selling our apartment. She kept us updated of all activities and followed up with all potential buyers, which resulted in several offers. 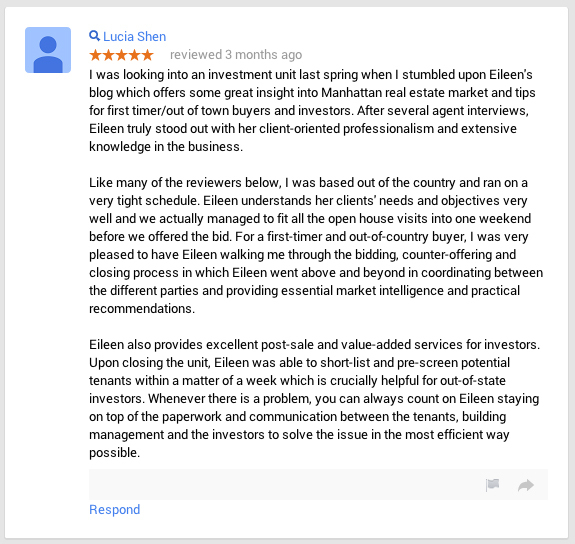 Eileen was always accessible and responded to all queries in a timely manner. It was a pleasure working with her. Her knowledge and professionalism provided confidence and ease of mind.